Bringing feminist and world-systems theories together, this analytic anthology examines the rise of intersecting, women-centered movements that contribute to alternative development and the rise of new societies. The authors consider feminist movements and humanistic transformations that create new work and market relations, promote democracy and equality, redefine gender and sexuality, regenerate the environment, and construct nonviolent and peaceful relations. At the end of each chapter, articles by feminist theorists and practitioners on these topics are included to illustrate the analysis. 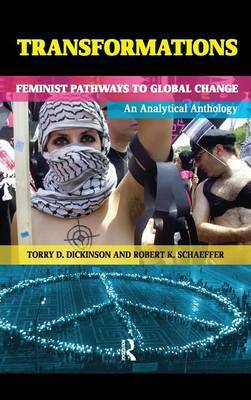 Using a global, historical framework, the book shows how diverse, multicultural, and international feminist ideas can be brought together to provide a comprehensive and differentiated understanding of change. "This ambitious and illuminating volume draws on feminism and world-systems theory to offer an integrated account of how a wide variety of women-centered movements make distinct yet complementary contributions to an over-arching though still emerging vision of alternative development and global transformation."